Tom Burns, senior vice president and general manager of Dell EMC Networking and Solutions, sheds some light on the company's diverse and broad networking portfolio. 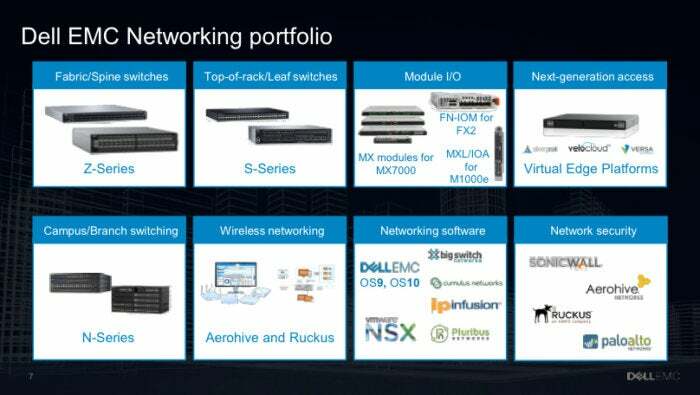 Dell EMC has one of the broadest networking portfolios in the industry. What’s unique about Dell EMC’s approach is that it's a mix of its own technology, as well as network partners. Also, it offers traditional hardware products and software-only products and supports white-box implementation. As an industry watcher, I’ve always been confused by the strategy of Dell EMC Networking. I know I’m not alone in this, as other network professionals I’ve talked to have echoed this sentiment. 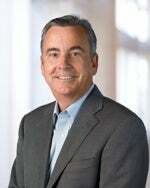 Recently, I had an opportunity to talk with Tom Burns, senior vice president and general manager of Dell EMC Networking and Solutions, about the company's networking portfolio and asked if he could clarify what is included in it. The majority of Dell EMC's revenue come from compute infrastructures such as servers and storage. Can you tell me if Dell is committed to networking? If so, why is it important to Dell? Burns: A core part of the Dell EMC strategy is to help our customers address the digital transformation that is occurring (the explosion and demand for data), and we do this with several strategic pillars, one of which is the IT transformation. We are helping our customers modernize, automate, and transform their IT infrastructure to provide agility and flexibility to their environment, and obviously networking plays a critical role in this transformation. We believe the world is moving to software-defined everything, and networking plays a critical part. Dell Technologies' combined assets around Open Networking, NSX, and SD-WAN provide strong differentiation to our customers and partners globally, and as a result, networking is strategically important to Dell. How do you want people to think of Dell Networking? Innovator? Fast follower? Price performance-leader? Any proof points to support your position? Burns: With our strategy around open, disaggregated switching, which we led five years ago in the market, I believe we are an innovator and disrupter. Enterprises and service providers globally are recognizing the benefits of our strategy, and we are seeing the results in the growth of our DC business. We are focused at what is best for our customers, not just the latest in speeds and feeds. It's important to note that with our leadership in this area, all the other major networking suppliers have followed. In addition, we are focused on capitalizing on our strong position in compute and storage. We’ve recently announced innovation solutions in the MX7000 launch, providing unmatched support for fabric connectivity; the industry’s first fabric automation for hyper-converged infrastructure (HCI) with our VxRail product; and embedded switching capabilities for our storage and Data Protection portfolio. Working with our teams across Dell EMC, we are creating leading end-to-end solutions in CI, HCI, and traditional IT. Can you please provide a high-level overview of the portfolio? I know it's very broad, and I'm sure most network managers aren’t aware of the breadth of solutions. In addition, we recently introduced a new set of blade networking products in support of our MX7000 next-generation modular compute platform. From a campus perspective, we have our N series portfolio and OEM relationships with both Aerohive and Ruckus (now owned by ARRIS) on wireless. This is the Dell EMC set of products. Within the family of Dell technologies, we also offer several products from VMware around NSX and SD-WAN (formerly VeloCloud). When you describe the portfolio, it seems to be a mixed bag of Dell infrastructure and partnerships. Why has Dell taken this strategy? In the area of offering networking software beyond our own OS10, this is core to our networking strategy around disaggregation and offering customers choice vs. locking them into a proprietary stack. These are partners such as Big Switch, Cumulus Networks, IP Infusion, and Pluribus Networks. Another area is in wireless, where we have OEM relationships with Aerohive and Ruckus. These partnerships again were strategically driven vs. our own IP to provide customers with choice and alternatives. Dell EMC is well positioned for next-generation campus networking through the unique combination of Dell Networking campus switching hardware and a choice of cloud-managed, controller-based and controller-less wireless architectures for the modern enterprise. The final area would be in the area of network security. We have strong partnerships with both Sonicwall and Palo Alto Networks. Several parts of your portfolio are software only — Cumulus, BigSwitch, OpenSwitch, etc. This might indicate that hardware is no longer important. Do you agree with this? Disagree? Burns: Absolutely disagree. While a software-defined environment allows more flexibility to configure, monitor, and virtualize the network, a lot of the intelligence and quality of service is coming from the hardware. These software vendors each offer a unique NOS (network operating system) that is applicable for certain use cases or customer environment that must have the appropriate support from high-quality hardware. In addition, we see significant growth in the merchant silicon ecosystem for networking. With unprecedented levels of choice, our hardware teams are constantly evaluating this landscape to define the optimal roadmap for our customers. 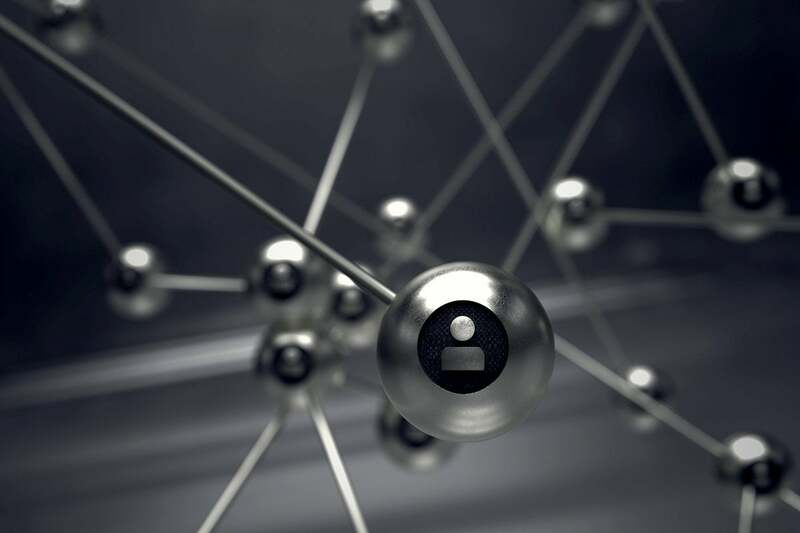 Beyond merchant silicon, we see many customers expressing an interest in a secure supply chain. Even if two switches look similar from a design perspective, they originate from distinct supply chains. At Dell EMC, we always consider the supply chain behind a piece of hardware as critical as the hardware itself. Why was OS10 such an important release for Dell? Burns: OS10 is our next-generation NOS that is offering our customers a full stack between hardware and software. It is comprised of two critical components: the OS10 Base, which is what we have contributed to the open-source community via OPX in the Linux Foundation, and OS10 Enterprise Edition, which complements the base with the full stack of traditional protocols and features. OS10 is a fully disaggregated network operating system that gives our customers a choice of networking stacks. It is based on open-sourced Linux and network protocol stacks developed over Switch Abstraction Interface (SAI) that enable system innovations and DevOps-ready solutions through fully programmatic and open interfaces. Dell positions itself as an open networking vendor. Almost every vendor claims this, though. What is Dell's position on being open? Burns: Open means offering choice and flexibility. Open means making real contributions to open source and endorsing the approach to our partners and customers. Name another vendor that supports not only its own NOS, but those of three or more other partners. This supportability is important and differentiated — no one does this other than Dell EMC. Name others that have made significant open source contributions to the Linux Foundation and to the OCP (Open Compute Project). While all have followed with supporting disaggregated hardware and software, few have changed their DC strategy to lead with open networking. When network managers are looking for an open solution, what should they look for? What key questions should they ask the vendor? How they can I make my networking operate more like my compute or more and more my storage environment. How do I take out the complexity by using common tools for configuration, monitoring and management? Is the vendor trying to help me make things more simple, or continue to drive proprietary architectures into my infrastructure? Can you support hardware and a third-party software on a global basis? Can your hardware support multiple overlays? Is your solution creating more flexibility and helping drive operating cost out vs. keeping things “status quo” when it comes to our networking? Anything exciting on the roadmap you can share? We recently announced Dell EMC Networking SmartFabric Services for VxRail deployments, automating up to 98 percent of the network configuration steps for VxRail hyper-converged environments. We also announced our latest 25GbE-enabled S5200-ON top-of-rack switches to help customers modernize and meet the growing network demands of virtualization, cloud computing, big data and IoT. Last quarter we announced our new Z9264F-ON 100GbE platform, delivering open networking in a high-performance, high-density switch. We also introduced a new line of products this year – the Virtual Edge Platform (VEP). We see tremendous growth in the market for SD-WAN and other virtualized network functions to run on uCPE (universal CPE) platforms. Our VEP portfolio was designed to participate explicitly in this market. But as we look ahead to next year and beyond, there are several things that we’re doing to enable better business outcomes for customers through our open, standards-based approach to network disaggregation across a wide variety of environments and use cases. You’ll see us grow our support of open-source technologies, including Linux Foundation OPX and Microsoft SONiC. You’ll see our collaboration with VMware continue to evolve as part of a Dell Technologies-wide approach to enabling digital an IT transformation. And you’ll see us working closely across Dell EMC to deliver the fabric that ties our entire solutions portfolio together. Final note: I went into the meeting with Tom Burns with the intention of recommending that Dell EMC consider selling the networking business, as the approach seemed somewhat ad hoc. The interview with Mr. Burns brought some clarity to it, and I believe the strategy is both clear and differentiated. However, I think the diversity of its portfolio can also hold customers back from deploying because it may not be obvious to many network engineers when a pure software product is better than an integrated one or what Aerohive’s strengths are over Ruckus or vice versa. Dell EMC has a great opportunity to establish itself as a major network power, but it needs to invest in both marketing and services to help customers make the most of the broad portfolio.